Will you let your seemingly chaotic challenges get the best of you, or will you turn it around with the sheer strength of will and determination, and faith that all will level out as it is meant to be? The rune above is called Hagalaz, (also known as: Haegl, Hagl, Haegl, Hagal, Hagall) and is by no means a Rune to dismiss, or think of ‘lightly’. As most of you whom have read my previous articles on runes, you may recall that runes are a form of the Scandinavian alphabet that date back as far as the 2nd to 8th centuries (specifically the Elder Futhark; made of 24 runes, broken up in 3 groups of 8, called an Aett). More recently, they are used as divining or ‘self-improvement’ tools. If I had been swirling rune stones, this rune would have no reversed meaning (If you look closely, it is in an ‘H’ shape). 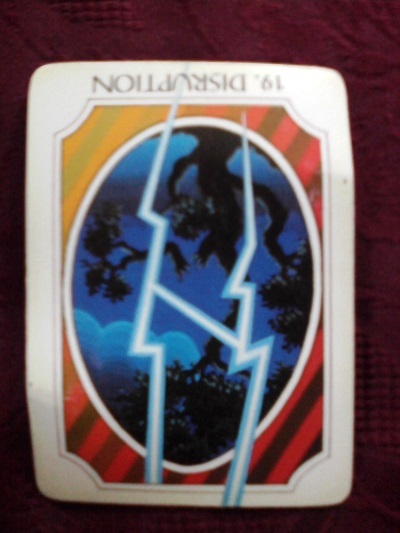 But because I use Rune Cards, the reversed meanings can simple mean a blockage or that the energy is on its way to resolving itself. This rune is considered a ‘bad weather’ rune, but for the most part, calls on us to ‘never shy away from challenges’. Whether or not we like it, challenges and obstacles abound; this can be an every-once-in-awhile occurrence, or some people are constantly growing, and therefore encounter more than their fair share of delays and hindrances. Generally, the rune can mean literally ‘bad weather’ or an internal battle of sorts that we are working through. Reversed, it’s a bit less intense. Meaning, oh, so you thought you could take a short cut, and now you’ve found yourself knee deep in murky water! When things get tough, there are no wins or losses, there’s only finding the best way to manage a crisis, even if there is a crisis while managing a crisis! Many times, all the ‘bad things’ simply just are that – a run of bad luck, with a promise of the sun shining, and a new day tomorrow. It is a test of will, strength, and determination. Will you let your seemingly chaotic challenges get the best of you, or will you turn it around with the sheer strength of will and determination, and faith that all will level out as it is meant to be? RMSAAM would love to hear about your turn a round’s in difficult situations and most especially if any of this applies to you!